With the help of the Pats Peak snowmaking crew and HKD Snowmakers, Ski New Hampshire covered a corner of the New Hampshire State House lawn in a blanket of white last week and shared information about snowmaking efficiency and the ski industry’s impact on the state’s economy. Mt. Rose Ski Tahoe is set to drop the ropes a week early to give season pass holders the privilege of putting down the first tracks of 2018-2019. 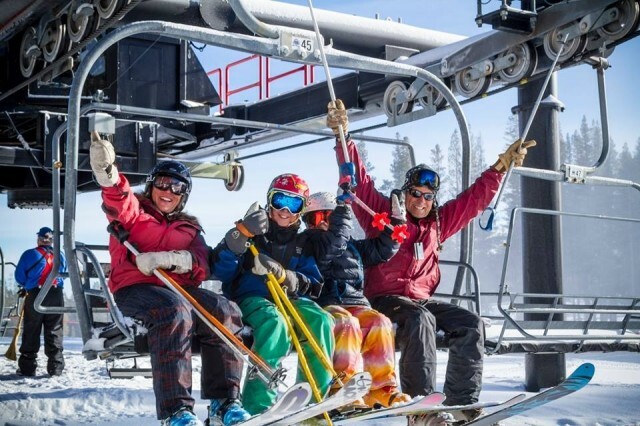 The ropes were dropped on and the lifts were spinning Oct. 12 at Wolf Creek Ski Area, signaling the beginning of another ski and snowboard season across the West. 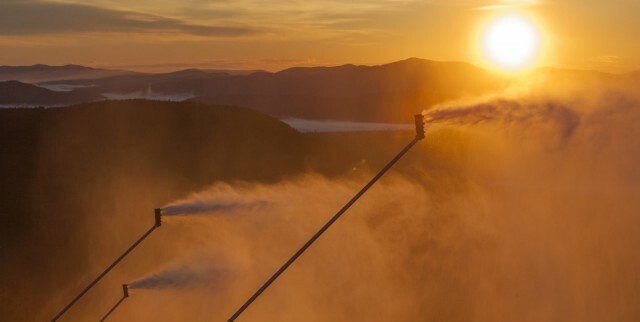 Sunday River cranked up 10 snow guns on Saturday, Sept. 24 to run a system check. Sunday River Photo. 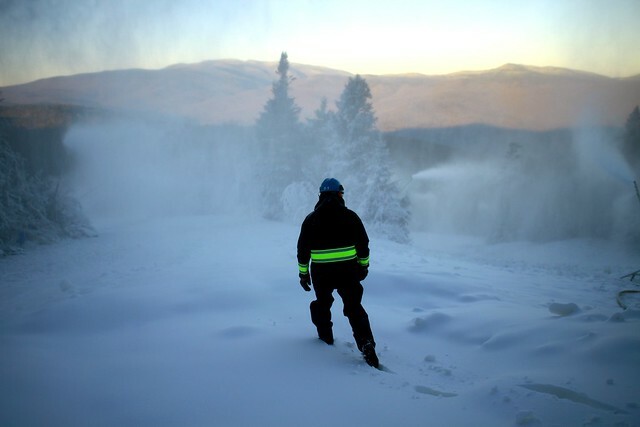 The first wave of cold, Canadian air of the season swung into New England Friday afternoon and temperatures fell at Sunday River Resort overnight, allowing the snowmaking team to fired up 10 snow guns at 4 a.m. Saturday for their initial systems test. 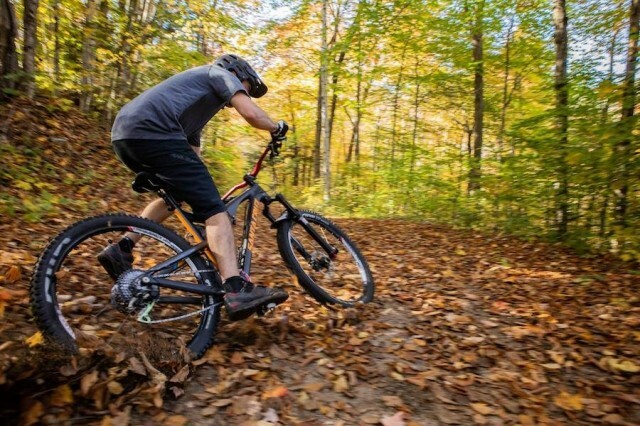 Loon Mountain has opened for the season with the most open terrain in New Hampshire and tied with sister resort Sugarloaf for most open terrain (acreage) in New England. 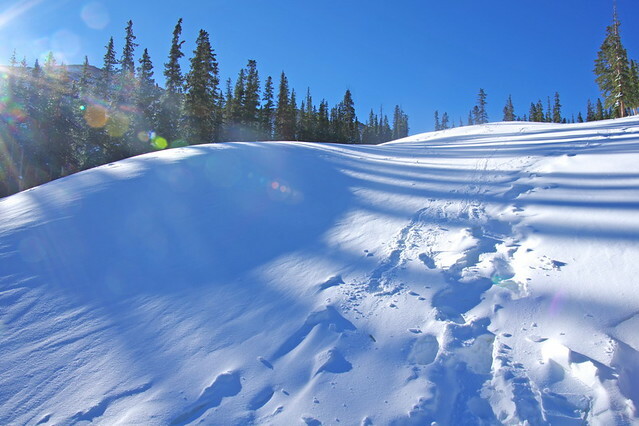 Canmore Nordic Centre in Alberta, Canada had a late summer snowstorm in early September, and at the same time it was announced that they expected to be open for cross country (XC) skiing Oct. 18. This is a very early date for XC skiing in the northern hemisphere and they were able to do it because they have snowmaking on the trails, a legacy from the 1988 Olympics in Alberta. 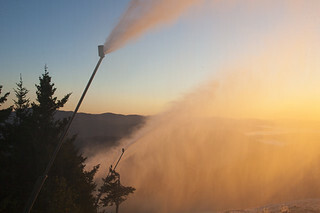 Wildcat Mountain in N.H. tested it’s newly completed snowmaking upgrade — the largest in its history — Sunday night (Oct. 20). 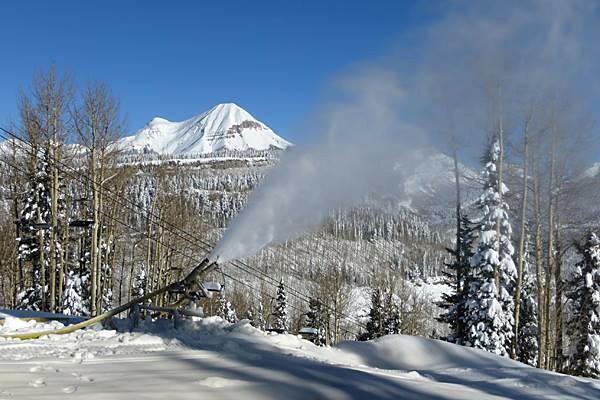 The ski area installed more than10 miles of new snowmaking water and air pipe, 227 new high output/high efficiency snow guns and completed construction of a new, state-of-the-art, mid-mountain, booster pump house. 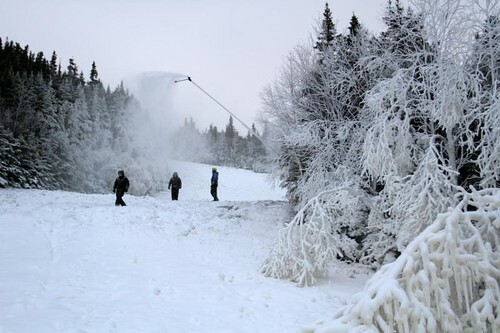 The temperature bottomed out at 29-degrees Friday morning (Sept. 19) at Sunday River Resort in Maine, so they did what most ski areas usually do when it gets cold - turn on the snowmaking system. 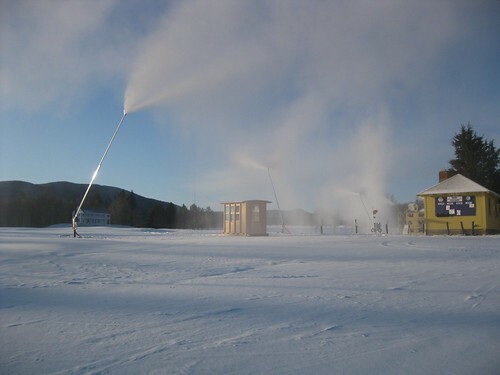 Okemo Mountain Resort’s Operation Snowburst returns for a second season of snowmaking improvements to include the addition of 100 new, energy-efficient tower guns. It appears unlikely that a bill prohibiting the transfer of private water rights to the U.S. Forest Service as a condition of a federal land lease will pass the U.S. Senate – but the fight has prompted the feds to promise to issue a revised regulation this spring. Thanks to two weeks of snowmaking and a series of recent winter storms, Colorado’s Arapahoe Basin Ski Area is set to kick off the 2013-14 ski season Sunday (10/13). 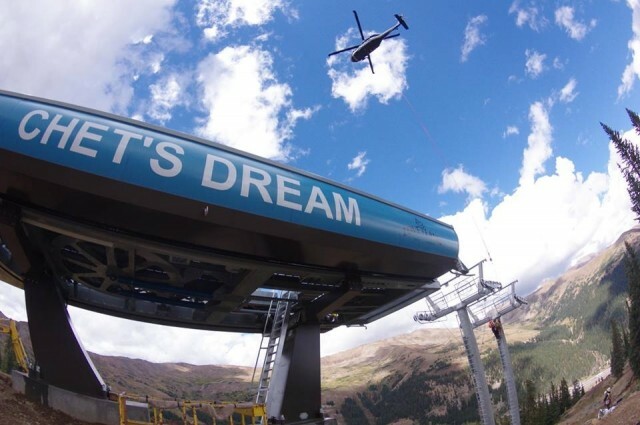 Barely a week into fall, and its “game on” for both Loveland Ski Area and Arapahoe Basin as both areas prepare to open for the 2013-14 season. California's Boreal fired up its snowmaking system Thursday night as additional snow fell throughout the Sierra Nevada and Rocky Mountain regions in the west. 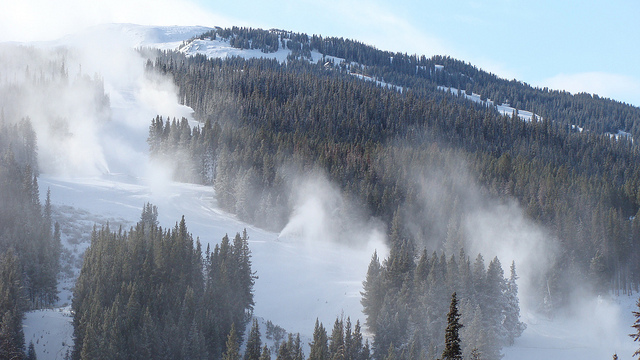 In Colorado, Loveland Ski Area and Arapahoe Basin started snowmaking operations on Friday evening. Loveland began making snow for the 2013-14 season just after 6 p.m. Friday. The race is on! A-Basinn began making snow on Friday too! California's Boreal fired up the snowguns just after midnight Thursday, Sept. 26. Snow covers the top of the tram at Snowbird. Fresh snow at Crested Butte! Looks like mid-winter at Jackson Hole. First snowfall of the season at China Peak. First snowfall of the season at Deer Valley. Sun Valley also picked up a few inches. 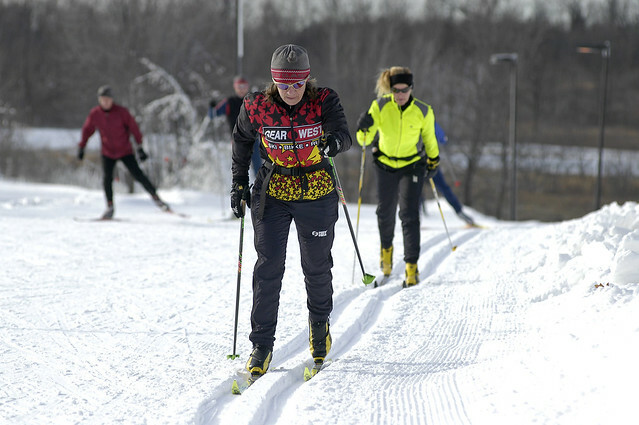 The Hyland Lake Park Reserve in Bloomington, Minn. will have a 5.1 km cross country ski trail loop served by 15 portable snowmaking machines by mid December at a cost of $5.75 million, according to the Star Tribune. 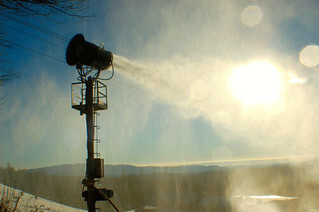 Ski areas like Vermont's Okemo Mountain Resort are looking for the best of all worlds when it comes to snowmaking: make the most snow, in the least amount of time, reducing their use of electricity while being as sustainable as possible.To that end the technology is there to help them achieve those goals. The ever-increasing list of cross country (XC) ski resort snowmakers now includes Trapp Family Lodge ,steeped in tradition and one of the oldest XC ski areas in the USA. 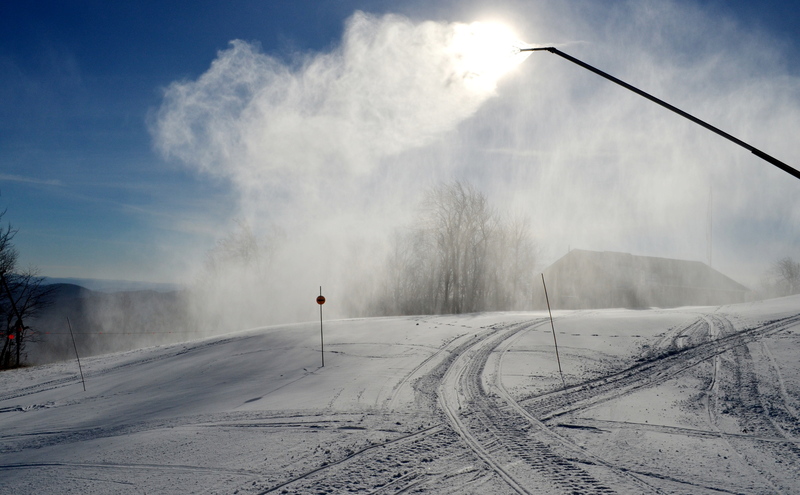 That’s right, they’re making machine-made snow at Trapp Family Lodge. 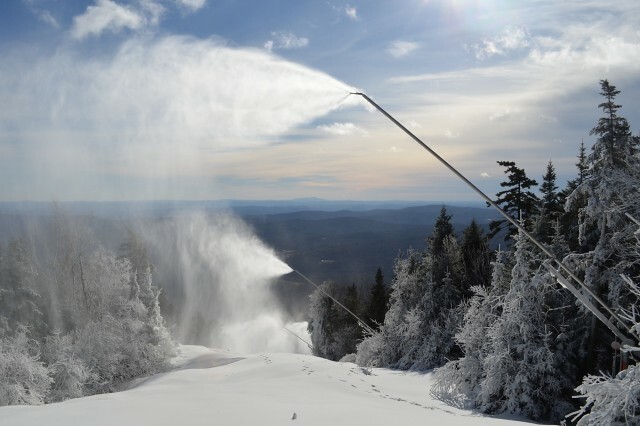 Cold temperatures have settled in as thousands of snowguns are processing millions of gallons of water across resorts in the Northeast in preparation for the Thanksgiving Holiday Weekend. The first dusting of snow has graced the Colorado High Country, and even the first turns of the season have already taken place in Breckenridge. 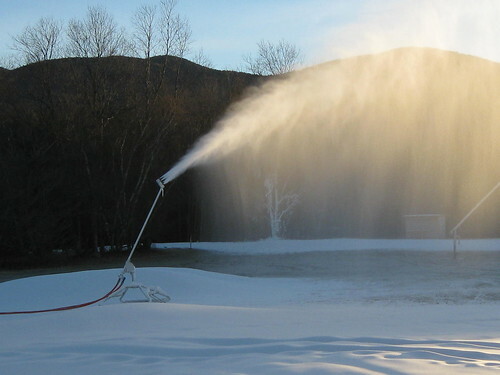 But this season’s opening act kicks off in earnest this week – snowmaking!